Hint: Practice as you intend to perform; handwrite your answers and restrict yourself to 30 minutes per essay. 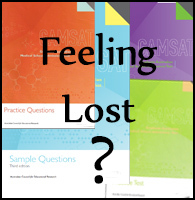 Then email finished essays to feedback@gamsatsamplequestions.co.uk if you would like them corrected (type or scan them in). “A hungry man is more interested in four sandwiches than four freedoms.” – Henry Cabot Lodge Jr.